My daughter came up with idea, I thought it was super cute! 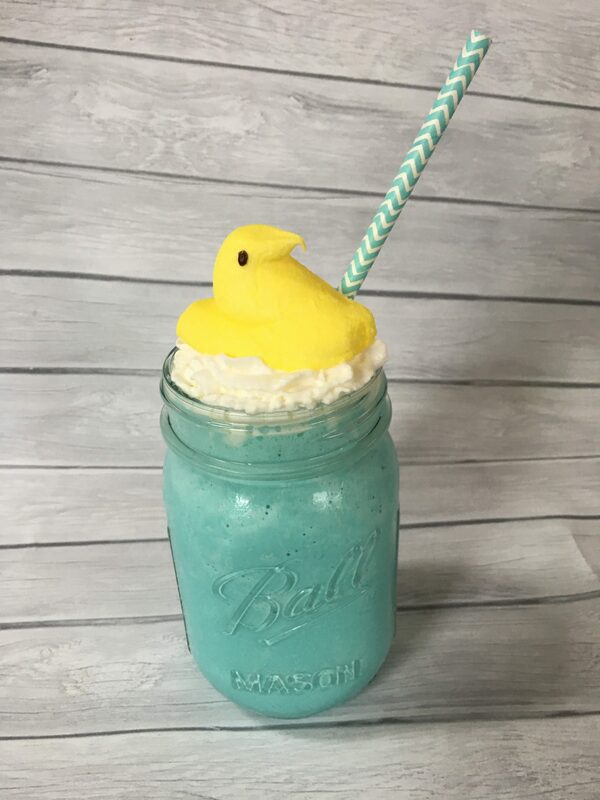 Just make an ice cream shake, top with whipped cream and a peep. If you don’t have or like Blue Moon ice cream, just buy vanilla and add blue food coloring. Blend milk and ice-cream together. 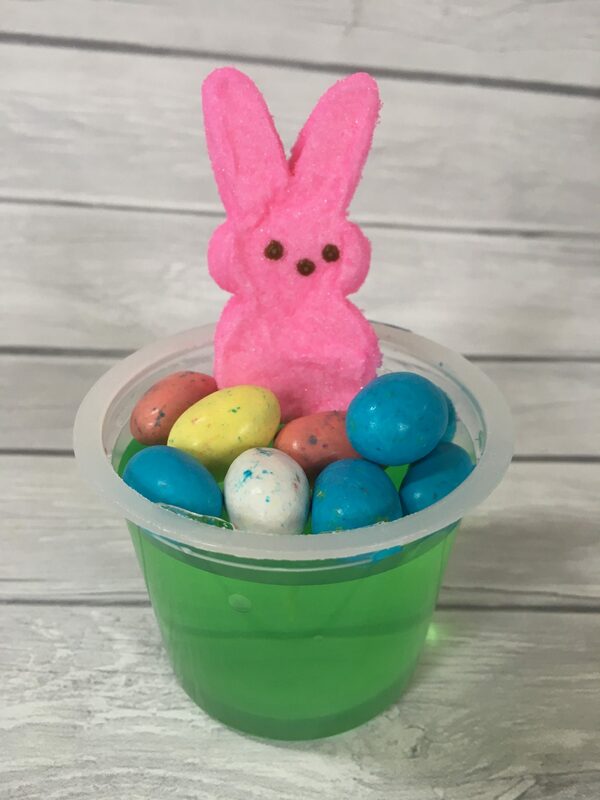 Top with whipped cream and add the Peep. 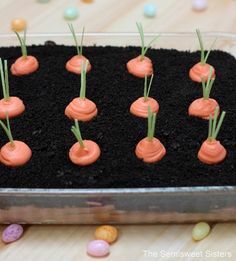 Super easy & cute Easter dessert idea. I bought the Jello cups, but you could alway buy a box of Jello and make your own and put in cups. 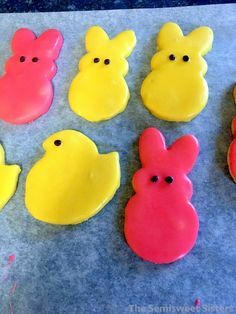 Quick and Easy Easter Shortbread Cutout Cookies. No Refrigeration dough!! Just mix up dough, roll out, and bake! Roll out dough to 1/4 inch, maybe a tad thicker. Use any cookie cutter you like and then bake. If dough is too sticky, sprinkle a little more flour on the counter and dough. Baking times may vary a little depending on the thickness and size of cutters you use. You just want to see a little golden on the edge and then they are done. Mix up icing and then dip the cookie face down in the icing and place on rack or parchment paper. Preheat oven to 325 degrees. Line pans with parchment paper. Mix butter, sugar, vanilla and flour in large bowl until it all comes together. 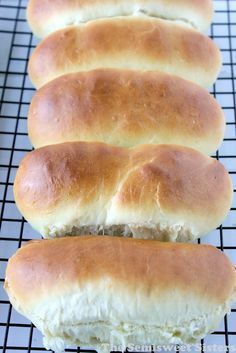 sprinkle some flour or powdered sugar on the counter and roll out the dough to about ¼ inch thickness. 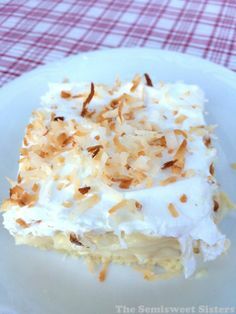 If it's too sticky just sprinkle with a little flour or powdered sugar. Cut out and place on cookie sheet. Bake 12-14 mins or until the edges just start to get lightly golden. Cooking time may vary a little depending on how thick and how large the cut out is. Cool. Mix icing ingredients and dip cookies in icing. Thought I would give these a try for St. Paddy’s Day and I’m so glad I did, LOVE THEM! The only downfall is that you have to use 3 bowls, and I hate doing the dishes!! I did use Guinness beer but any stout or even chocolate stout will work for this. If you can, use a dark cocoa powder or a dutch cocoa powder. Preheat oven to 350 degrees. Grease a 9x13 pan. In small bowl stir flour, cocoa power, salt, baking soda and baking powder. Set aside. In another small bowl add the chocolate chips and set aside. In small sauce pan over medium heat, add beer and butter. When butter is melted, add mixture to the bowl of chocolate chips and keep stirring until all the chips are melted. Set aside and let cool for 10 mins. In large bowl add sugar and eggs then beat for 3 mins. until light and fluffy. Once the chip mixture has cooled for 10 mins, slowly stir it into the egg mixture. Once that is combined, slowly stir in the flour mixture. Pour into greased pan, sprinkle with additional chocolate chips. Bake 26-30 mins. or until toothpick comes out with moist crumbs. Let cool. Giant Reece’s Peanut Butter Heart. This giant peanut butter chocolate heart is a way better gift than flowers!! It’s pretty easy to make also. For the chocolate you can use whatever you have on hand. This time I used chocolate chips. Remember that you only melt half of the chocolate at a time. In large bowl mix powered sugar, peanut butter, butter, vanilla and milk together. It should just be a little crumby, but still stick together if you squished it. Place dough on parchment paper lined cookie sheet and shape the dough into an heart. It should be about ½-3/4 inch thick. Place in freezer for a half hour. Remove from freezer and melt HALF, of your chocolate (according to the directions on the package), spread on the top half of the heart try not to get too much on the sides for now, just the top. Place back in the freezer for 10 mins. Remove from freezer and flip heart over. Melt the other half of the chocolate and spread it on the top and sides of the heart. Let the chocolate set up for about 10 mins. and serve! Heart Shaped Chocolate Chip Cookies for Valentine’s Day. 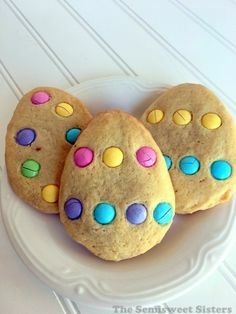 These cookies are so easy! No chilling dough or rolling it out, just shape and bake. See the pictures below on how to shape the dough. You have to exaggerate the heart shape so it can spread. Perfect for Valentine’s Day! These cookies are large (2 tablespoons) if you want to make them a little smaller make sure you cook for a shorter time. These should be very soft cookies. In large bowl, cream together butter, white sugar, and brown sugar until smooth. Beat in the egg, add vanilla. Dissolve baking soda in hot water, then add to batter, add salt, slowly stir in flour. Stir in chocolate chips. Drop 2 tablespoons dough onto cookie sheets. Shape into hearts (see pics) Bake for 10-12 mins. 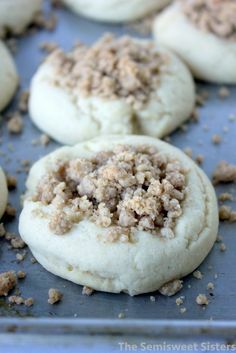 If you are making smaller regular size cookies bake 8-10mins. Just until the edges start to get lightly golden.